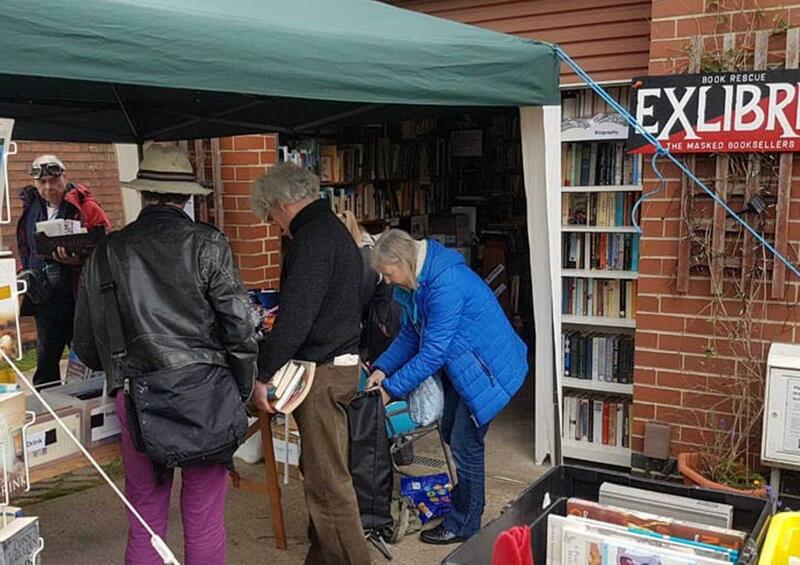 Bookworms in the borough are being invited to bag a bargain at a unique annual charity sale in Gedling and help raise much-needed funds for local charities. For the past 13 years Bob and Chris Cann have hosted the Masked Charity Booksale at their home in Vernon Avenue, which brings in thousands of pounds for their chosen charities. Their property will again be crammed full of 15,000 second-hand books from as little as 10p when the sale begins on Friday, April 26. Last year’s mammoth sale brought in £2176 for local charities and boosted the total amount raised over the past 13 years to nearly £20,000. It takes Chris, Bob and a team of volunteers over ten weeks to prepare for the sale, and over the years a special insulated building has been erected to help house the mammoth collection. Chris said the continuing popularity of the sale proves that books will never be replaced, despite the growth in electronic devices. As well as books, homemade cakes will be available for donation, and children can play on the ExLibris Express – a train built out of reclaimed wood. They can ring the train’s bell, toot the horn, sell tickets, blow bubbles, shovel “coal”, and more. Many visitors to the sale also take part in the tradition of wearing a mask while attending the event. 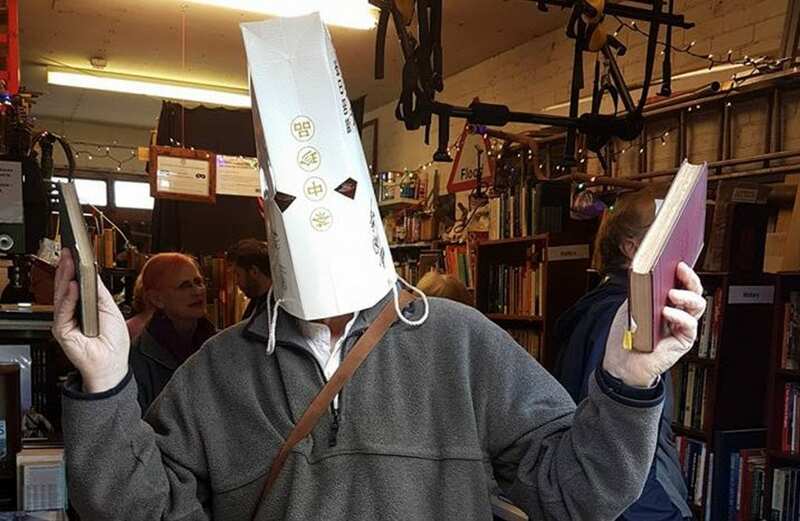 The tradition was started by Josiah Saithwaite, founder of the Federation of Masked Booksellers who are the group who organise the event. Saithwaite believed in doing good by stealth and decided therefore that the identities of all who helped out on his bookstalls should be concealed behind masks. This year visitors are also invited to bring a tin of vegetarian food, which will be passed on to Netherfield Food Bank after the booksale. The sale takes place between 10-6 on April 26, 27, 28 and 29. It will also be open again the public on May 3,4 and 5 between 10-6.